With deep understanding of the destinations and over 10 years experience in tour operation, our team always moves forward to satisfy all your requests and brings you the safe, enjoyable and memorable holidays. Our utmost goal is to provide the outstanding service with a reasonable price. Your satisfaction is our first priority. Come and explore Indochina and Myanmar with us. We used this travel agency to arrange tours, accommodation, and transport while in South Vietnam. Our tour guide was very knowledgeable and friendly, and spoke English very well. He had a great sense of humor and was always on time to pick us up and take us out for the day. This was the final stop on a 5 week trip to SE Asia and it was nice to have everything planned out and taken care of for us. I would highly recommend this agency for anyone looking to experience more out of their travels! The tour was excellent. everything came out as expected or even better. You were very helpful always. You attended all of our requests as expected, fast and kindly. Hotels were wonderful. Ho Chi Minh's and Yagon's not so good but it's understandable because they are big cities. They had good location though. The only critic would be that some guides were a bit difficult to understand because of their accent. Their knowledge was excellent, they where very helpful, friendly, funny, etc..... Another suggestion would be that the guides should ask what type of restaurant do we prefer. With one or two exceptions, we were usually taken to very expensive tourist restaurants with prices at list 5 times the prices of normal restaurants, for the same food. Despite money, we had the greatest moments in local restaurants instead of tourist restaurants getting to feel the local life. We had a great vacation. Totally recommendable!!!! Thank you for all! Thank you very much, our trip was excellent. I really appreciate all the effort and the perfect organization. We had a minor situation with the plane from Camboda - from Siem reap to Hanoi: at first they changed flight time from 8.10 to 7.15.. - and we didn't check that and saw that only at the airport, and after that Vietnam Arlines people didn't want to check us into the flight because for second entry into Vietnam within 30 days they said we needed a visa. They spent 30-40 minutes finding out about visas. I told them that we can get a visa at Hanoi airport or even spend the night at the airport because we had a morning flight to Moscow from Hanoi. Anyway they wasted 30 minutes discussing that. I felt very nervous. We almost missed the flight. Luckily they finally checked us into our flight 15 minutes before departure)) So in case with 2 entries into Vietnam it might be wise to get visa beforehand - if going to Cambodia. Because Cambodians acted strangely. Anyway everything was great. Thanks again. I will definitely recommend you to all my friends and hope I'll be able to visit Vietnam again. Picked this tour from reviews on trip advisor. Tina was very helpful and always responded right away with questions and helped us tailor it to what we wanted. we were well looked after in Hanoi , hoi an , Saigon and siem reap. 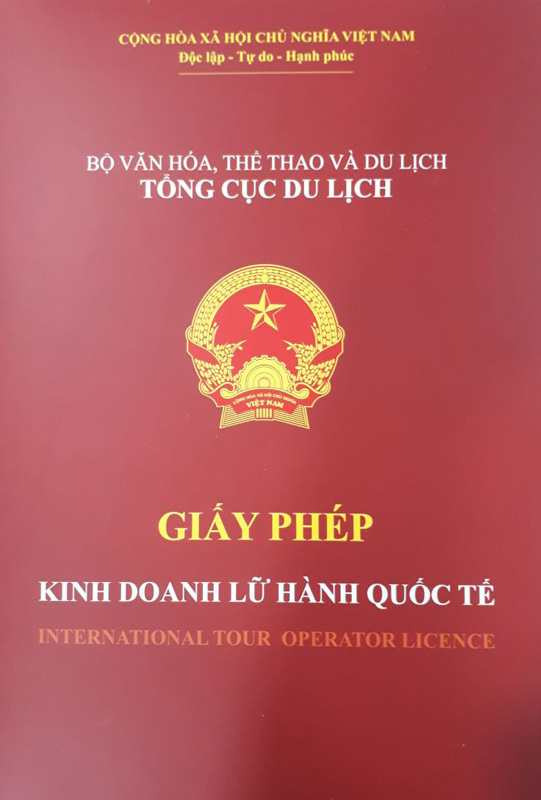 all tours guides were knowledgable with the exception of our tour guide in Saigon. his communication level was not as good, but overall we had a wonderful experience. our favorite tour and guide was with Jack Tran tours in Hoi An. would definitely recommend. We were very happy with the level of professionalism of all our local guides and the drivers and we always felt safe and comfortable in their care. They were extremely helpful in recommending restaurants to eat at and showed genuine concern when we returned from Sapa not feeling well. 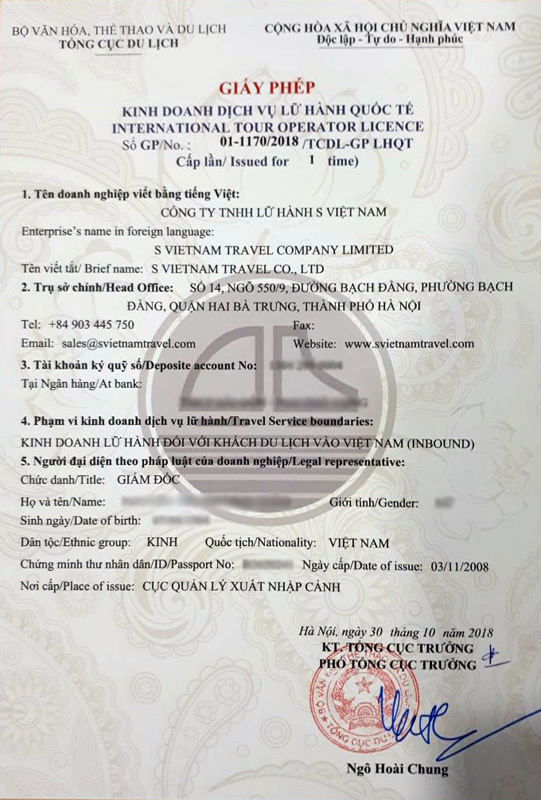 We have no suggestions as to improving the service and we have already made recommendations to friends to visit Vietnam.